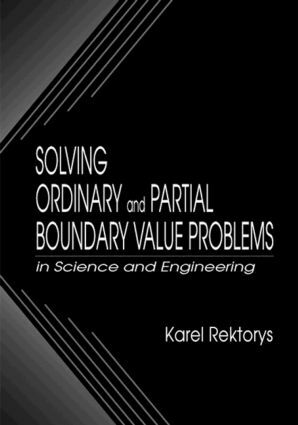 This book provides an elementary, accessible introduction for engineers and scientists to the concepts of ordinary and partial boundary value problems, acquainting readers with fundamental properties and with efficient methods of constructing solutions or satisfactory approximations. The author presents special remarks for the mathematical reader, demonstrating the possibility of generalizations of obtained results and showing connections between them. For the non-mathematician, the author provides profound functional-analytical results without proofs and refers the reader to the literature when necessary. Solving Ordinary and Partial Boundary Value Problems in Science and Engineering contains essential functional analytical concepts, explaining its subject without excessive abstraction. "Numerous technical and physical examples explained in a very clear manner help to understand better theoretical material and motivate further exploration of the subject. Accumulating many years of the author's teaching experience at the Technical University of Prague, this excellent book will be of benefit for engineers, scientists, and mathematicians dealing with boundary value problems, as well as students of science and engineering." "A very nice text…addressed to the non-mathematician." "This book is unusual in that it sits at the intersection of differential equations and numerical analysis, and in this regard it represents a modern approach to the subject. A good discussion…"